Show Report: AiFi - Dan D'Agostino. 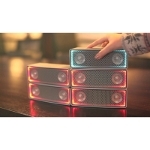 AiFi presented the Ai1 wireless loudspeaker. It features a heavy aluminum cabinet and allows for unlimited inter-connectivity and clustering, so many Ai1s can create a single large loudspeaker array for higher sound levels and better area coverage. AKG introduced the wireless version of the N60NC. 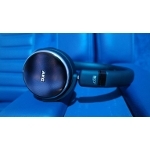 These on-ear headphones, comprising active noise suppression, Bluetooth connectivity and include small improvements in terms of comfort, over the original model. It is expected in April. Ampsandsound's Mogwai is a single ended triode power amp for EL34, KT66, KT77, KT88, 6550 and KT90 tubes, delivering 3Wrms at 8 Ohm loads. 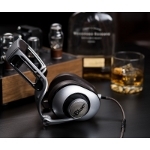 The amp can, also, drive headphones with a nominal impedance between 32 and 600 Ohm. Price is below $2,000. 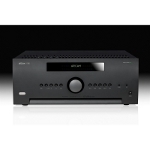 Arcam made a sufficiently impressive appearance in multichannel audio, showing their top-of-the-range receiver, FMJ-AVR850, compatible with Dolby Atmos and DTS: X. The receiver also supports the Dirac room correction algorithm. The same company introduced the latest addition to the "r-" series devices, the r-Play. 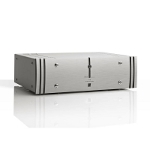 This is a DAC that ads streaming functionality in any conventional audio system. 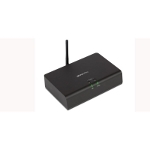 It supports wireless (Wi-Fi, DTS PlayFi, and AirPlay) and wired (Ethernet) connections and includes a digital output to connect an outboard DAC. ATC displayed their new P2 power amplifier. This is a dual mono design that can deliver 300W into 8 Ohm loads, with a class AB, MOSFET power stage. 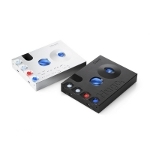 It can be combined with the smaller P1 to support bi-amplification systems. 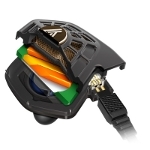 Audeze's iSine 20 is an improved version of their first iSine 10. The difference between the two is, mainly, the construction of the flat (planar) diaphragm. By using the Lightning/Cipher DAC cable, iOS device owners can enjoy some high-quality playback. 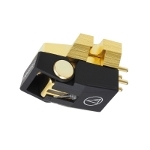 AT-ART1000 is Audio Technica's top moving coil cartridge. 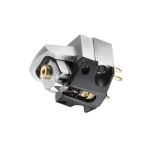 Handcrafted in Japan, it features the "Direct Power" architecture, where the coils are placed just above the needle and not at the end of the cantilever. Price range is around €5,500. Audio Technica's new AT-LP3 turntable is belt-driven, with a straight tonearm and includes the AT91R moving magnet cartridge. It also features a fully automatic operation mode. 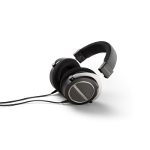 …as well as the ATH-SR9, an over-ear headphones featuring 45 mm drivers with OFC-7N voice coils and DLC (Diamond-Like Carbon) coating. 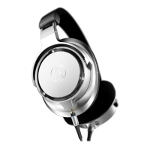 The headphones include two detachable cables, one of which has a microphone and controller for use with mobile phones. Finally, Audio Technica displayed all the new models in the VM moving magnet cartridge series, with prices between 130 and 700 euros, including models for mono and shellac-based records. The photo shows the top model VM760SLC. Niagara 5000 is the new power line filter in Audioquest's Niagara series. This is a noise suppression device with highly linear behavior, which additionally has a circuit that allows the management of current peaks up to 90A, which the company considers a prerequisite for the proper functioning of power amplifiers. Auris (from Serbia) presented, among other products, the DC-125 power amplifier, a class D design delivering 125W per channel at 4 Ohm loads. Auris' aesthetics, featuring wood and leather is also something that stands out. 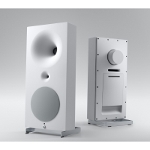 Avantgarde unveiled a new version of their well-known active loudspeaker Zero 1 XD, the Zero XD TA. 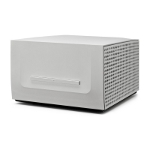 The new model is a semi-active design, featuring an active low-frequency part (with a 500W, DSP assisted, class D amplifier) and a conventional, passive part for mid-highs. Drivers have, also, undergone some improvements. Beoplay M5 is a small wireless loudspeaker Bang & Olufsen with omnidirectional characteristics and the ability to function as an individual unit or as a member of a multiroom system. Beyerdynamic presented the Amiron Home headphones, an open design based on the Tesla technology, but optimized for top level home use. Nominal impedance is 250 Ohms and a three-meter long cable is included. 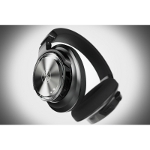 Blue Microphone presented a new version of their quite characteristic headphones, called Ella. It is a planar magnetic design, featuring a 50x50mm diaphragm, which incorporates the driving amplifier (a 250mW module per channel). 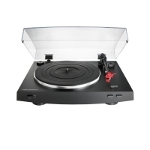 It offers three different listening modes, one of which is optimized for listening to vinyl records. The Burmester approach to the idea of a concept system is the Phase-3. 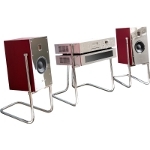 This, includes the 151 Musiccenter as a source, the integrated amplifier 101 and the two-way, stand-mounted B15 loudspeaker, in a variety of finishes. 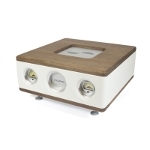 Chord Electronics presented the second edition of the highly successful Hugo, the Hugo-2. The new DAC/Headphone Amplifier can be used either as a portable or as a home-based device (this is why it is described as … "transportable"). It is based on an FPGA for DSP and can handle signals up to 768kHz (PCM) and DSD512 (DSD). 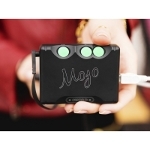 For those who want something really portable, the Chord showed the Mojo, a really compact DAC/Headphone amplifier with a full set of digital inputs. The rechargeable battery is sufficient for 10 hours of operation. Supports connection of two headphones. 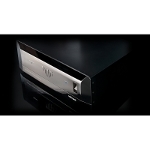 Cocktail Audio's X50 is their top-of-the-range music server, which can be used for CD ripping and as a network media player. 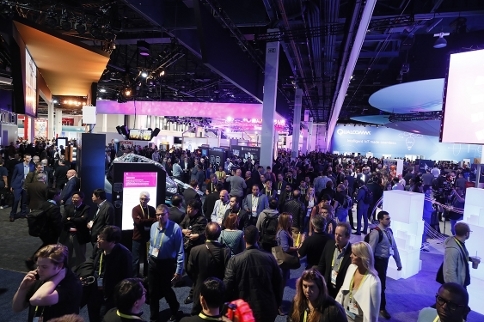 Its capacity can be expanded up to 12TB (RAID) and supports standard streaming services like Tidal, the Deezer, and Qobuz. 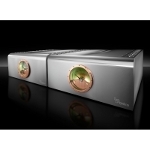 Constellation Audio presented the version "II" of their Centaur Stereo amp. 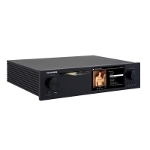 It features a new power supply with triple filter capacity and a higher bias current, allowing for more watts in class A. 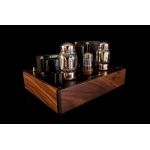 It delivers 250W per channel into 8-ohm loads and reaches 800W in 2 Ohm loads. Progression Mono is Dan D 'Agostino's Master Audio Systems top power amplifier. Power output is 500, 1000 and 2000W in 8, 4 and 2 Ohm loads respectively, based on a 4kVA power supply (with a 400.000uF capacitor filter) and 48 power semiconductors.